Frontier Lubricants has been partnered with Polaris Laboratories for over a decade giving our customers fast and accurate testing keeping their machines and business running smooth. Our easy to read reporting, trained representatives, along with online equipment analysis history are just a few perks. The real benefit is using Oil Analysis as a preventative maintenance tool watching wear patterns on equipment and detecting issues as they arise eliminating the guesswork and reducing the reactionary nature of maintenance. 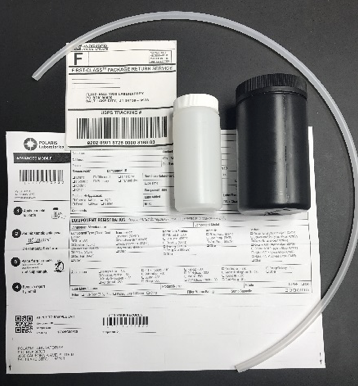 Oil Analysis Kit includes a 4oz sample bottle, black mailer bottle, pre-paid postage and prepaid analysis to be used for the following fluids. 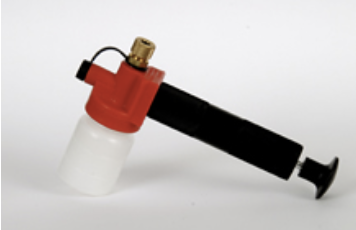 This heavy duty oil suction gun makes pulling the toughest of samples easy. Simply attach the bottle, run your suction line into the sump and pull off the required amount of fluid.